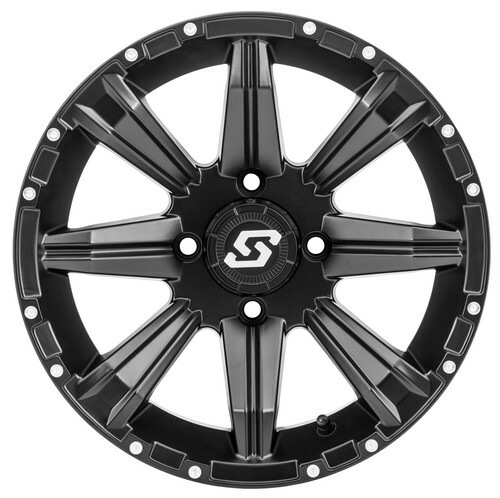 The ALL-NEW Sedona SPARX wheel is an 8-Spoke design featuring an automotive quality Satin-Black painted finish and a machined “rivet” look. Available in the common 14x7 sizes as well as a larger 15x7. 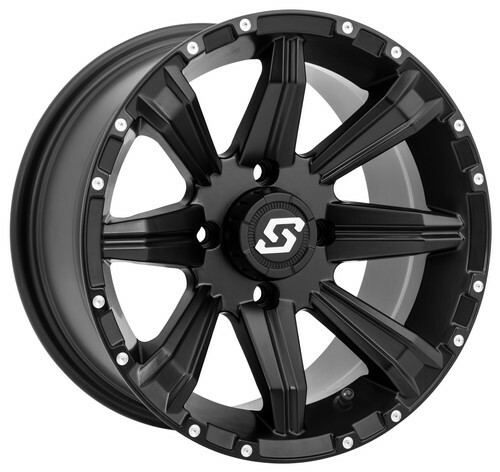 Mount a set of our 30x10R-15 8-Ply Rated Sedona Mud Rebel RT tires on the 15x7 Sedona Sparx wheel for an aggressive look that will outperform the competition.